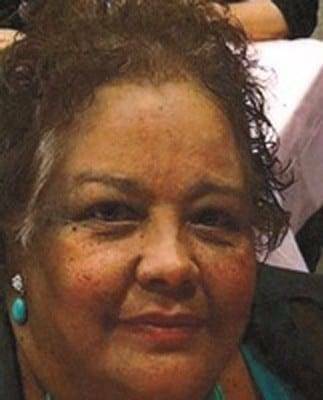 Sonya Reyes, age 63, of Archbold, Ohio, passed away at 5:08 A.M. on Wednesday, April 10, 2019, in her home. Mrs. Reyes was a homemaker and enjoyed shopping, posting on Facebook and helping others. She attended the First Spanish Church of God in Toledo, Ohio. Sonya was born on September 24, 1955, in San Antonio, Texas, the daughter of Eliasar and Dominga (Martinez) Zavala, Sr. She married Eliezer “Al” Reyes on October 16, 1976, in Archbold, and he survives. Sonya is also survived by her children, Peter Santos, of Wauseon, Elias (Jineda) Reyes, of Archbold, Edward (Letty) Reyes, of Archbold and Sophia (Edwin) Villalovos, of Bryan; eleven grandchildren and siblings, Linda Torres, of Toledo, Yolanda Zavala, of Archbold, Eliasar Zavala, Jr., of San Antonio, Veronica Rangel, Ida DelRio, and Arlene Valadez, all of Archbold. She was also preceded in death by her parents, one nephew, Ernie Zavala and a niece, Abigail Tijerina. A memorial service celebrating Sonya’s life will be held on Saturday, April 13, 2019, at 11:00 A.M. in the Templo Cristiano, 300 Park Street, Archbold with Pastor Oscar Dominguez. Service arrangements have been entrusted to Krill Funeral Service, 860 West Mulberry Street, Bryan. Memorials are requested to the family. Be the first to comment on "Sonya Reyes (1955-2019)"